Resort Focus Tours will ski multiple ski resorts like Portillo, Valle Nevado, Termas de Chillan, Alta Patagonia, Cerro Chapelco, to name a few and will experience the rich cultures of Chile and Argentina while never losing focus of the comforts and services our guests desire. You will stay at Superior and Deluxe hotels with special attention paid to location, comfort, and service without losing the local charm of the Andes and its rich culture. Included are unforgettable regional meals, knowledgeable guides, comfortable private transportation, safety, and excellent personalized service. Our expert guides show you the best skiing, avoiding the crowds, and taking you to the best snow according to wind direction, slope aspect, recent snow fall and local knowledge. We will show you our favorite lines and secret spots. If you want to score the best skiing like the locals, get the most out of your time skiing on your vacation, and avoid studying a map that ends up landing you in an hour long lift line on a bunny slope, these trips are for you. Although we do offer optional adventures and short hikes to get to more isolated off-piste areas, we do not enter the backcountry on our Resort Focus tours. Skill levels welcome on our Resort Focus Tours: Intermediate, Advanced, Expert. If you are an advanced to expert skier or snowboarder looking for the perfect combo of ski lift serviced off-piste terrain and short hikes taking us beyond the ski area boundaries away from the crowds of the ski resorts an off-piste tour is for you. Our off-piste adventures allow you to ride with your favorite all mountain skis or snowboard set up without having to commit to Alpine Ski Touring equipment. Many South American ski resorts allow for easy laps to be run from the backcountry back into the ski resort area allowing for even more vertical. In addition, basing at the local resorts allows us to be more flexible on days we cannot get into the backcountry due to weather or instability in the snowpack. Required Off Piste Focus Equipment (The following will be available for rent if you do not have your own.). We require all guests to ride with a minimum of a 29 Liter backpack (up to 35 Lt is ideal) with suitable external harness straps for carrying your skis or snowboard. You will also need a 457 Khz avalanche transceiver, avalanche snow shovel, and probe. You only need to bring your normal all mountain skis or snowboard. No Alpine Touring equipment, snowshoes, splitboards etc. are required. Skill levels welcome on our Off Piste Focus Tours: Advanced, Expert. 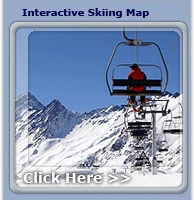 These tours are for strong advanced or expert skiers or snowboarders looking for endless guided backcountry skiing free-ride options using alpine ski touring equipment (randonee, telemark, snowshoes, or splitboards) plus excellent off-piste free-riding near the local ski resorts and beyond. Trips are based at ski resorts and villages throughout the Andes of Chile and Argentina allowing us to enjoy the local culture, food, red wine, nightlife, and comfortable lodging, yet with excellent access into the world of backcountry alpine ski touring. Many South American ski resorts allow for easy laps to be run from the backcountry back into the ski resort area allowing for even more vertical. In addition, basing at the local resorts allows us to be more flexible on days we cannot get into the backcountry due to weather or instability in the snowpack. A typical day will include ski lift access from the ski resort's base to the upper Andean peaks. From there we will ski tour beyond the ski resort's boundaries and into the backcountry. The day will be spent exploring and ski touring local peaks, accessing bowls and chutes while chasing the powder and best snow conditions with your certified ski guides. Our ski touring ascents can range from short 30 minute excursions, to several hours. Your efforts are rewarded with unforgettable ski descents, fresh powder, first tracks, and no crowds! Required Backcountry Focus Equipment (The following will be available for rent if you do not have your own. We will also soon provide links on where to purchase this gear online). We require all guests to ride with a minimum of a 29 Liter backpack (up to 35 Lt is ideal) with suitable external harness straps for carrying your skis or snowboard. You will also need a 457 Khz avalanche transceiver, avalanche snow shovel, and probe. For Skiers: You will need skis set up with either Telemark or an Alpine Touring binding system (Fritschi Freeride, Silvretta Pure, etc). Plus skins and ski crampons. For Snowboarders: You will need snowshoes with good heal lift and an aggressive crampon. Another option is a splitboard with skins and crampon, but for those with experience only. Grab your Alpine Touring, Randonee gear or splitboard and come visit us this year for some of the best backcountry ski mountaineering on Earth. Our home base are remote mountain lodges and huts tucked deep in the snow-drenched Andes with incredible backcountry alpine touring access. Required Ski Mountaineering Equipment (available for rent if you do not have your own.) We require all guests to ride with a backpack including a 457 avalanche transceiver, avalanche snow shovel and probe. For Skiers: You will need skis set up with an Alpine Touring binding system, skins, ski crampons. For Snowboarders: You will need a splitboard with skins and crampon. INTERMEDIATE: YOU SKI OR BOARD WITH CONFIDENCE AND CONTROL ON INTERMEDIATE AND ADVANCED RUNS (BLUE SQUARE IN NORTH AMERICA, RED IN EUROPE) IN ALL SNOW CONDITIONS AND OCCASIONALLY VENTURE ONTO BLACK DIAMOND TERRAIN WHEN THE CONDITIONS ARE RIGHT FOR YOU. YOU ARE READY TO PUT IN MORE TIME IN CHALLENGING TERRAIN AND VARIABLE SNOW CONDITIONS. **Snowboarders should be prepared for longer heal and toe side traverses in varying snow and visibility. ADVANCED: YOU SKI or BOARD VERY WELL, AND CAN CONTROL YOUR TURNS IN ALL SNOW, SLOPE, AND WEATHER CONDITIONS, INCLUDING POWDER, ICE, CORN, ON AND OFF-PISTE/AND OR IN BACKCOUNTRY. EXPERT: VIRTUALLY MASTERED ALL RIDING STYLES AT DYNAMIC SPEEDS, STRONG IN ALL SNOW CONDITIONS AND TERRAIN. Medical & Evacuation Insurance is MANDATORY for all of our ski trips to South America. All guests are required to secure personal travel insurance. Such insurance must cover personal accident, medical expenses, and air ambulance and evacuation. In addition, we highly recommend adding on insurance that covers loss of personal effects, trip delays, trip cancellation and all other expenses which might arise as a result of loss, damage, injury, delay or inconvenience occurred by you. Should you decide to not add on the recommended above, Expediciones Chile /PowderQuest cannot be held responsible for covering costs arising from any event falling in these categories. Travel Guard: Travel Guard Insurance provides coverage for medical expenses, trip cancellation, baggage damage, and much more. Click here for more information and a free quote. Travelex Insurance: PowderQuest highly reccomends the Travel Lite Program. Click the link (Travelex Insurance) or call 1-888-Travelex. Please tell them you are traveling with PowderQuest Tours so they can provide you with the best travel insurance for your trip.